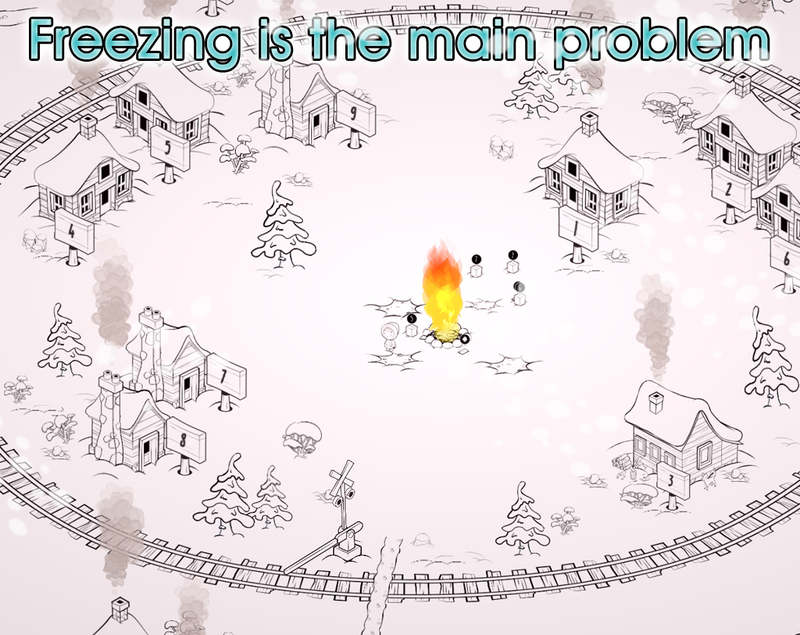 Freezing is the main problem is a game about delivering packets and making sacrifices! You have packets to deliver! Your only enemy is the biting cold. Good that you have a crackling fire to keep you warm. But your only way to feed the flames is sacrificing some of the packets. 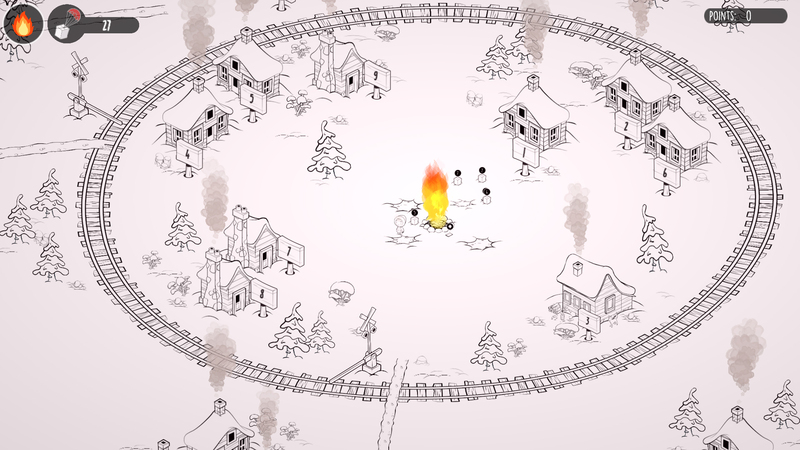 The smaller the fire gets the slower you move, so hurry up! ! ...or go further and try to make important deliveries to the local hospital. Right click to zoom and get a better overview of the surroundings! 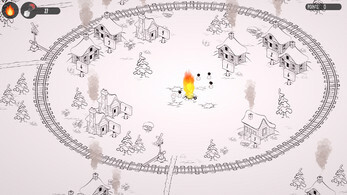 Click near the fire to feed it with picked up objects! The top left meter, shows the fire intensity! haha yes :D some ppl dont want to open the doors when its so cold ;) thanks a lot for playing! nice game!! i was wondering how u animated the tree. was it directly inside the game engine or by using bones ?